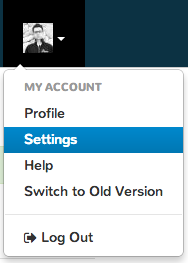 To assign a social network to a tribe, first click the “Settings” link under your Account drop down. 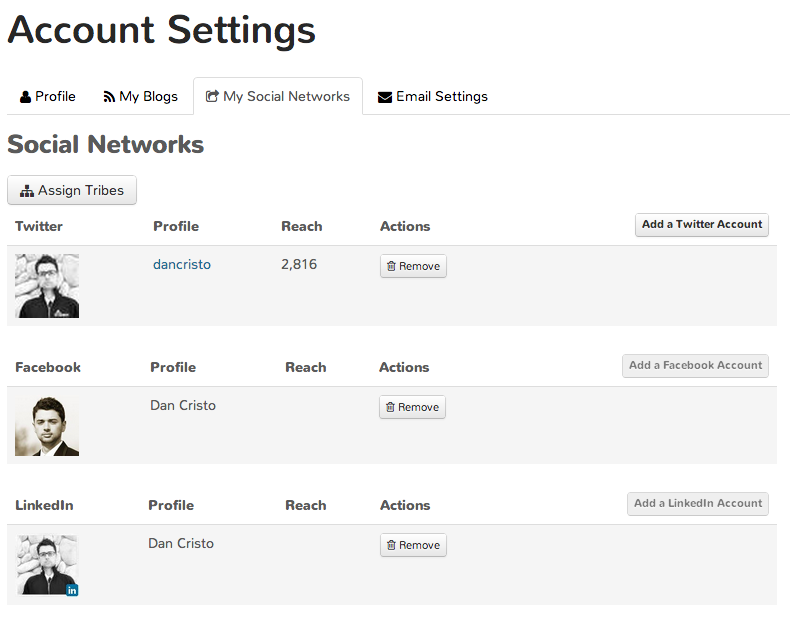 On the settings page, select the “Social Networks” tab. 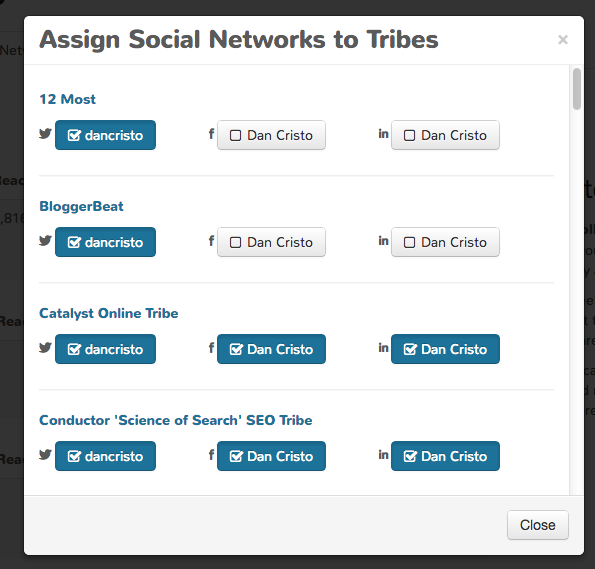 On the Social Networks page, click the “Assign Tribes” button. As soon as you make your selection, the selection is saved. So once you are done, just click “close”.